The above info came from Nicole Recto, and was edited by yours truly (contact me). The image came from ImageShack. 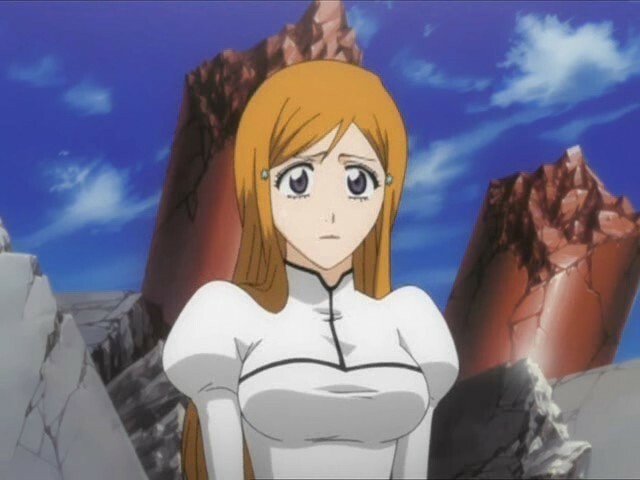 When Orihime was still a baby her parents would give her beatings to make her stop crying. Kakei is 15 years older than her. When he turned 18 he took Orihime with him and moved to a different place. He then died in a car accident when Orihime was 12 years old. She got angry at him because he gave her some hairclips she didn't like. The day Kakei died is the day she swore to always wear the hair clips. 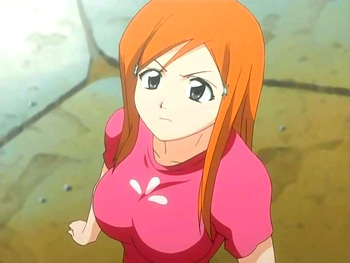 Because of the overflowing spirit energy coming from Ichigo (particularly during his contest with Uryu), Orihime eventually awakens to her own spiritual power: the Shun Shun Rikka ("Six Princess Shielding Flowers"). The hair clips she wears transform into six spiritual guardians that assist Orihime by creating shields that literally reject enemy forces and energies. They are activated when she summons their names, chants a kotodama (a spirit chant), and calls out, "I reject! ", which activates the chant. Three of them (Hinagiku, Baigon, and Lily) create Santen Kesshu ("Sacred Tri-Linked Shield")--a defensive shield that protects from outside attacks. Two of them (Shun'o and Ayame) can form Soten Kishun ("Sacred Dual Return Shield")--a shielded zone that reverses unwanted effects inside it (in essence, it can be used to heal someone from attacks--this particular power will draw some trouble for her later). The last one, Tsubaki, creates Koten Sanshun ("Sacred Solitary Cutting Shield")--in which he enters an enemy then rejects from both sides at once, slicing the enemy in two. 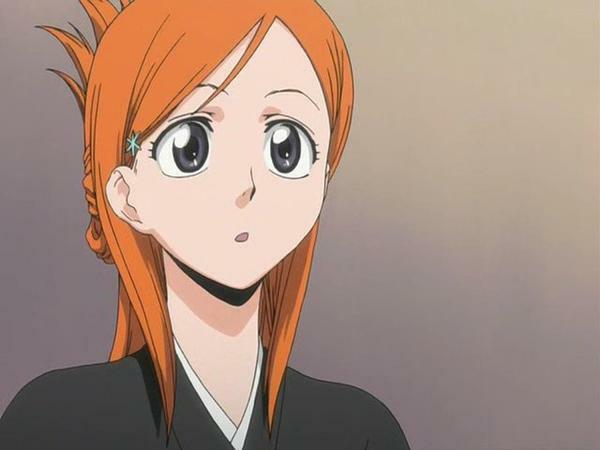 With her new powers, Orihime will accompany Ichigo into the Soul Society to save Rukia. Orihime performs very well in high school, and was near to the top of the year in exams. She is also a member of handy-crafty club with Ishida. She also made a promise to Tatsuki to never cut her hair again.